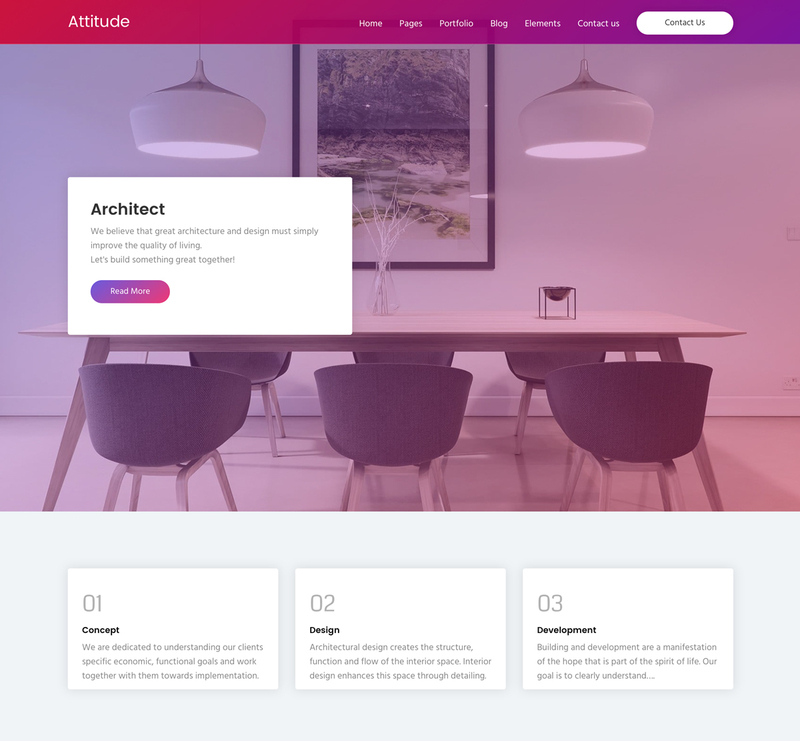 Attitude WordPress Theme is the composite of awesome design, tons of functionalities and easy customization for everyone who wants to create any kind of website. This responsive theme will help you Create a Cause, Showcase your Projects in a Professional Way, Accept and Manage Donations from Donors and Supporters and Create an Online Shop where you can sell any products. The Drag & Drop Builder Functionality in Attitude theme acts as the main layout constructor, making the theme unbelievably easy to use. You can create and customize your website content in minutes and make your first campaign with simple drag and drop actions all thanks to the integrated Visual Composer. This great Page Builder plugin is capable of taking your website pages and turning them into entirely new and fresh design. If you want to take the driver’s seat when it comes to customizing your website, Attitude WordPress theme has got you covered. With unlimited customization options in the theme, you can customize your website to match your brand or identity. Take advantage of the customization possibilities to change Background Image and Header Settings. You can choose from the next 5 homepage demos or you can create your own. All elements are available to be used in any combinations. take a look and choose the one you like the most. The portfolio section in this theme excels at showcasing your creative work online to be in line with your organization’s goals and ambitions. Attitude theme provides you with lot of options to create a catchy portfolio. Showcase your online projects in 1, 2 or 3 columns and grab your visitors’ attention at a glance. The resourceful and elegant design of Attitude WordPress theme ensures a stellar presentation of your speakers. People will want to know the key guests and other important people who will attend your event. This theme gives you the opportunity to clearly highlight the main speakers to attract an actual physical audience to an upcoming event. You can include a speakers profile complete with names, links to the social media profiles and photos. Want to sell online tickets? 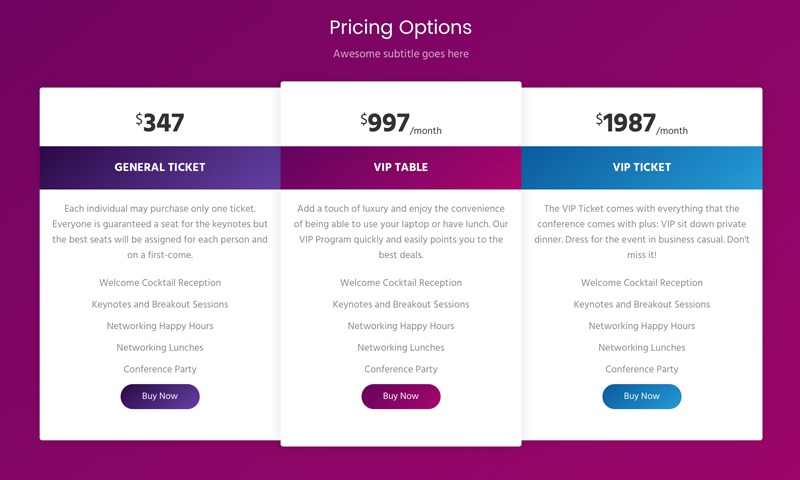 Attitude theme allows you to sell tickets for upcoming events online. Simply select pricing options and remember to include a short description for the event-goers. Add a link to a site where interested people can purchase tickets and you’re ready to host the best event of your life! Raising money for various causes is now possible thanks to theme’s Donation feature. Your visitors can jump onto the support train and begin donating immediately. Attitude WordPress theme has an automated system that tracks new donations and subsequently adjusts the required amount countdown. Visitors can hear about your cause/s and make their contributions directly on your website by simply clicking the “Donate Now” button and sending their contributions effortlessly via PayPal.Me platform. Wow… this theme is IMPRESSIVE! I have just finished developing a website using another theme, but I am now tempted to start over with this one! Keep up the good work! Attitude is very nice and elegant site design, a great drag and drop page builder theme. And we really appreciate the support team for explanation and fast replies. Thank you very much, especially Victor! Sharp and great theme, easy to deal with and have received good feedback. Thank you WPlook for the great work! I love that is it integrated with visual composer and I recommend Attitude!